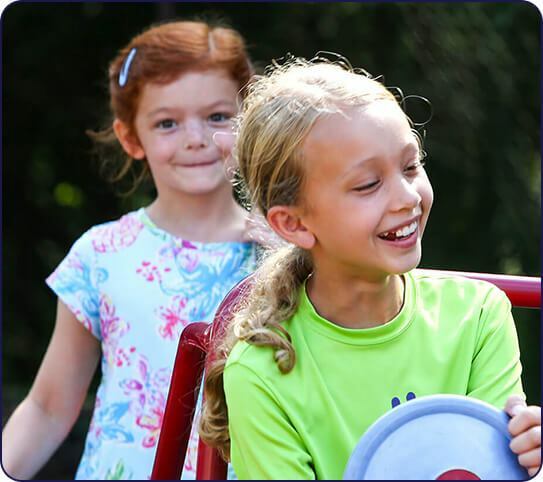 For over 30 years, Discovery Point has focused on providing education and learning programs for children ages 6 weeks to 12 years old. 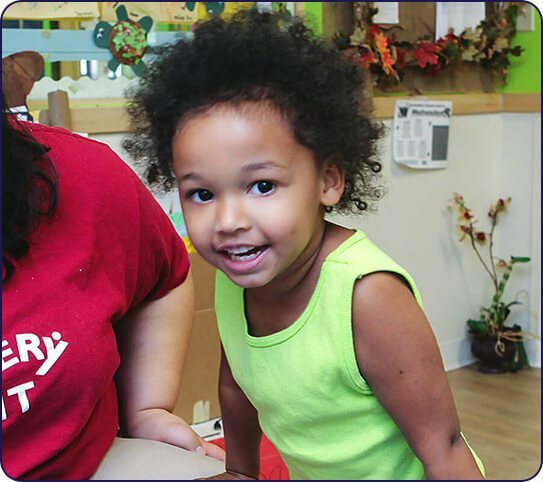 We are proud to maintain our tradition of continuing to adapt to the needs of the children in our center’s communities while creating new opportunities for child development, growth, and learning. Our programs facilitate the success of our students, with clear goals and curriculums designed to help them reach their potential. The team behind Discovery Point’s child development programs is passionate about helping young children achieve their potential. Our work is exciting and rewarding because we have the opportunity to be part of something bigger, and the chance to give back to our communities by investing in child development. Our goal is to help each and every child in our program reach his/her full potential. 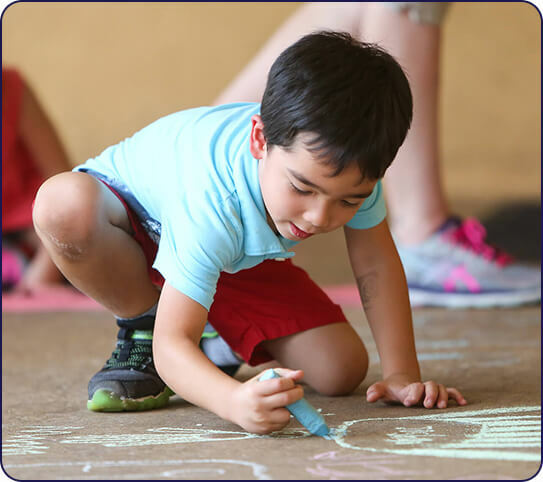 Our buildings and classrooms are designed with floor plans that are open, bright, airy, and conducive to imagination and play. We provide nutritious meals and offer transportation services. If you would like to learn more about our child development programs, we encourage you to call your local center. Ask questions and schedule a no obligation tour to meet the local team who supports your Discovery Point Child Development Center. 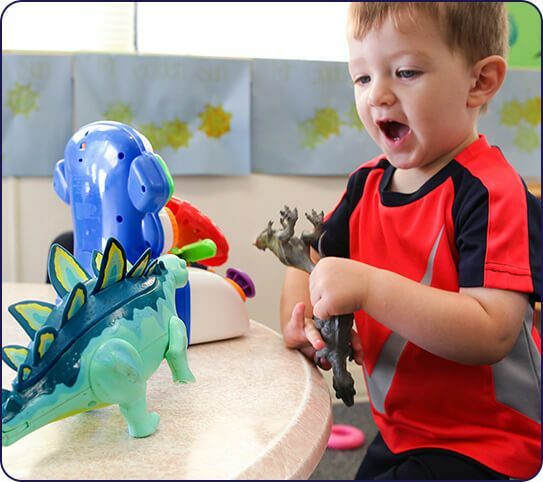 Discovery Point’s infant child care curriculum is fully planned to foster: sensory, cognitive, physical, and emotional development in each child. 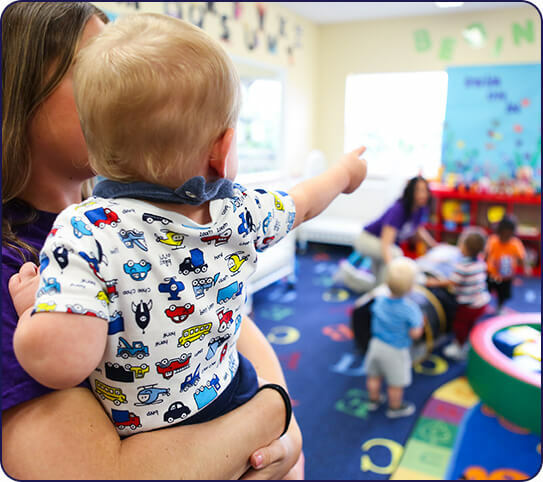 Every infant daycare center is created to help precious little ones from 6 weeks through 10 months grow and develop in a safe, caring environment. 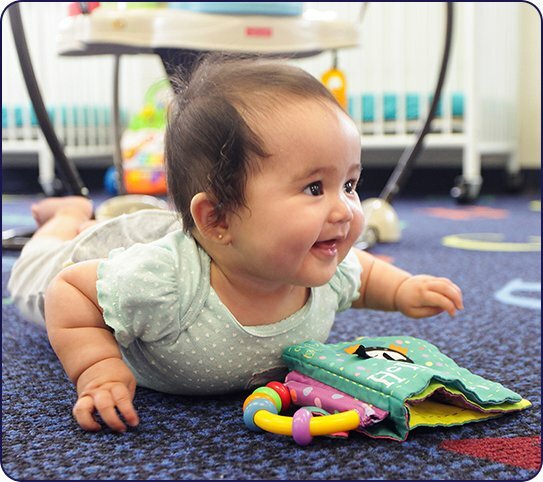 Our infant rooms are outfitted with soft edges to encourage safe exploration with play areas filled with age-appropriate toys and materials designed for development and learning. 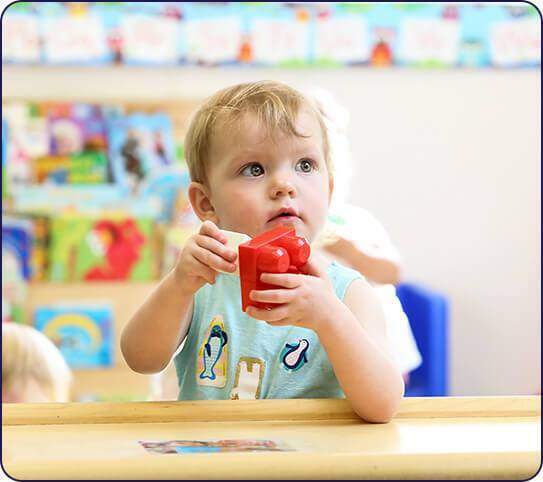 Discovery Point’s beginners child care is a program rich with the wonders of exploration. Special emphasis is placed on developing language skills in a classroom alive with music, movement, and learning through play. Designed for babies who have just begun walking, usually between 10 to 18 months, we have created a safe place for these naturally inquisitive children to discover their surroundings. Each child is given love and encouragement as they focus on new accomplishments and discoveries along the way. Our toddler child care curriculum is designed to balance independence with teacher guidance. 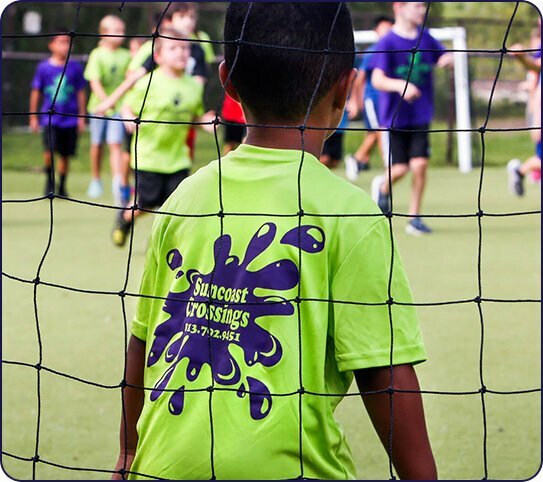 We emphasize holistic development so every effort is made to incorporate opportunities for growth and learning across all spectrums: physical, cognitive, emotional, and sensory. While toddlers are beginning to learn in group settings, our teachers make certain to offer them opportunities to establish individuality and self-assertion. Our goal is to help all the children in our toddler program grow and thrive. Every child enrolled in our preschool curriculum is different, and we honor that uniqueness. Each component in our program is intentional, proven, and grounded in scientific research and child development theory. Designed to foster confidence and provide a foundation for learning, it allows our teachers to deliver positive outcomes for all children. We help our students learn through play, exploring a wide variety of subjects—especially art, math, science, and technology. Our pre-kindergarten program prepares children for school. We get them ready for the transition from preschool to kindergarten by establishing a trajectory for academic success. A strong focus on math and literacy skills gives them a head start in learning. We equip students to become active readers and to develop their problem-solving skills. Our teachers firmly believe in the importance of comprehensive learning while integrating minds, bodies, and circumstances to foster a positive environment. Discovery Point provides before and after school programs to initiate individual learning and growth in their areas of interest. Our students enthusiastically engage in activities in our fun and interactive classrooms. We promote collaboration with team-building games and activities to develop skills in a supportive environment. Children are given the opportunity to play with friends, get assistance with homework, use technology resources, or even just relax with a good book under caring supervision. Summer camps provide some of the most cherished childhood memories. Our programs offer exciting ways for your child to get the wonderful benefits with plenty of learning, field trips, and fun! Keep your child engaged in worthwhile pursuits while getting them in the mindset for the upcoming school year. 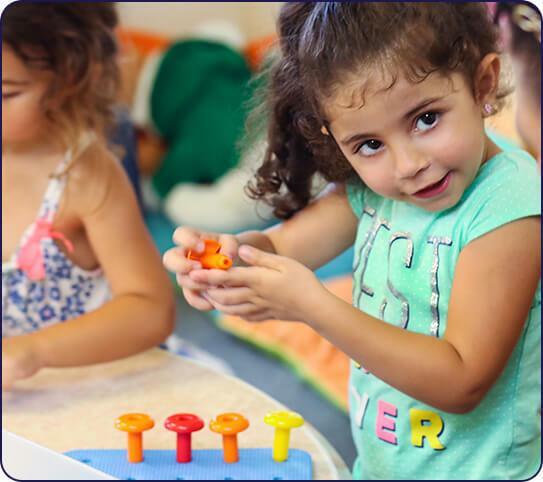 Every Discovery Point Child Development Center offers these enrichment programs, so be sure to call your local facility to learn more about the opportunities in your area.